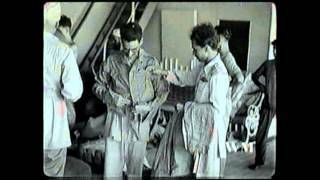 Rare WW2 era footage of former POW Flying Officer K V Nair after his liberation from the Rangoon Jail. In war, much often hangs on a knife-edge. As this piece by Air Marshal Raghavendran shows, this was especially true of the famous PAF raid on Pathankot. It may have been down to the cautiousness of one man in a key position, that this single most successful raid ever mounted by the PAF against India did not run into a CAP flown by the top guns of the lead Gnat squadron of the time . "Chakra" markings briefly adorned Indian Air Force aircraft in 1948 and after. The notifications and the history of these markings are described here.